Teck-nology Design & Marketing is your one-stop digital marketing agency. Get to know us more! But We Can’t Help It! We are proud of our clients. It’s the same level of confidence we want YOU to have. We want YOU to love our work as much as we do. Our work reflects a fusion of what our clients WANT, what they NEED and what we can DO to make it happen. Whether we start from scratch, continue an existing project or build a simple project, we always ensure that we finish off proud. 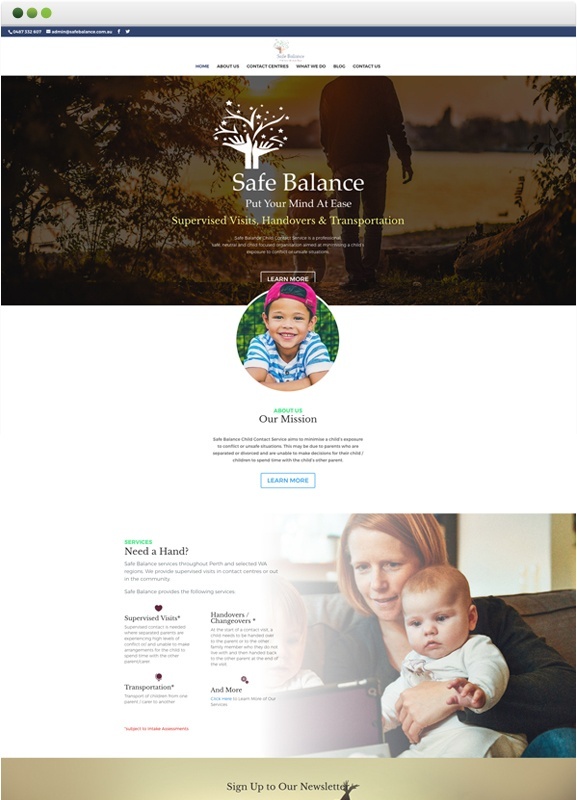 Safe Balance Child Contact Service is a professional, safe, neutral and child focused organisation aimed at minimising a child’s exposure to conflict or unsafe situations. They had trouble updating the old website and needed their logo in high resolution. We gladly took on the challenge of recreating their logo from scratch and established a Style Guide to be implemented across their Branding materials and website. The result is a totally refreshed website and branding that clearly captures the kind of services they offer. The Norwest Group is a long established, family run company which has been operating for close to 30 years. To reinforce the brand, a redesign of the logo was necessary. The new Norwest Group identity had to cover both the Sand & Gravel and Contracting services of the company. We took on the challenge of creating variations of the logo to reintroduce Norwest Group and built a website that clearly defines what they do best. 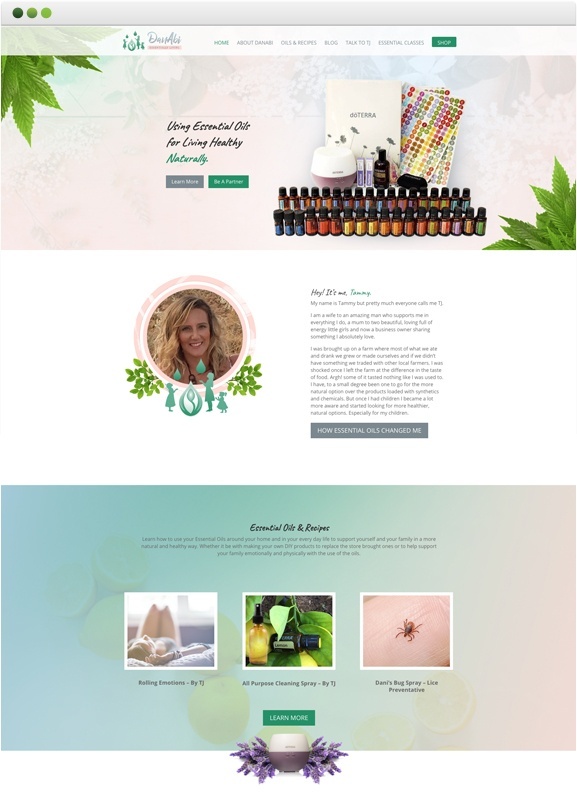 DanAbi needed a website that showcases Essential Oils as a means to support health in a more natural, chemical free way. We came up with a logo that best represents the brand and built out multiple pages that are both beautiful and functional. 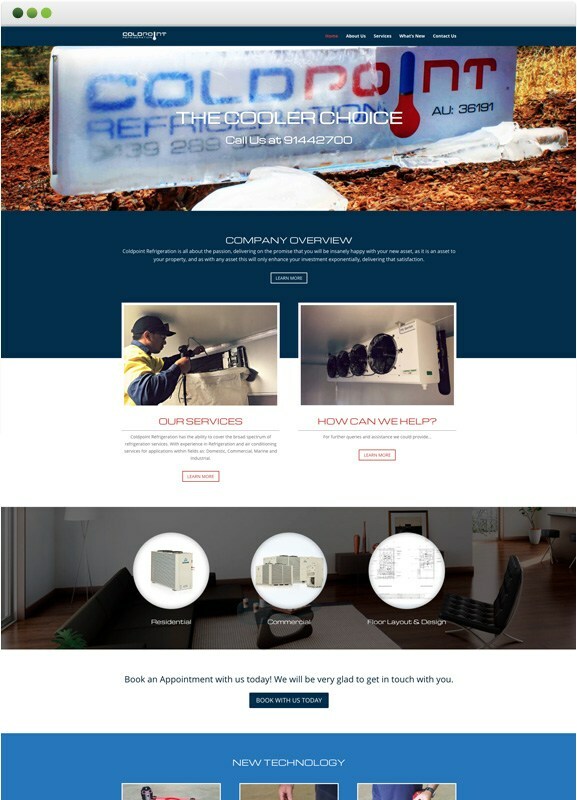 One of the leading service providers in Karratha for air conditioning and refrigeration needs. They're all about passion and providing excellent service to all their clients. When we took on this project we made sure we provided the same service to them, as we helped make their business grow by providing wider awareness for the Coldpoint Refrigeration brand. What they needed was an impactful website, brand and business awareness and a booking form. For over 25 years Pilbara Chiropractic Centre has been providing a caring and friendly environment with a healing atmosphere for their patients. 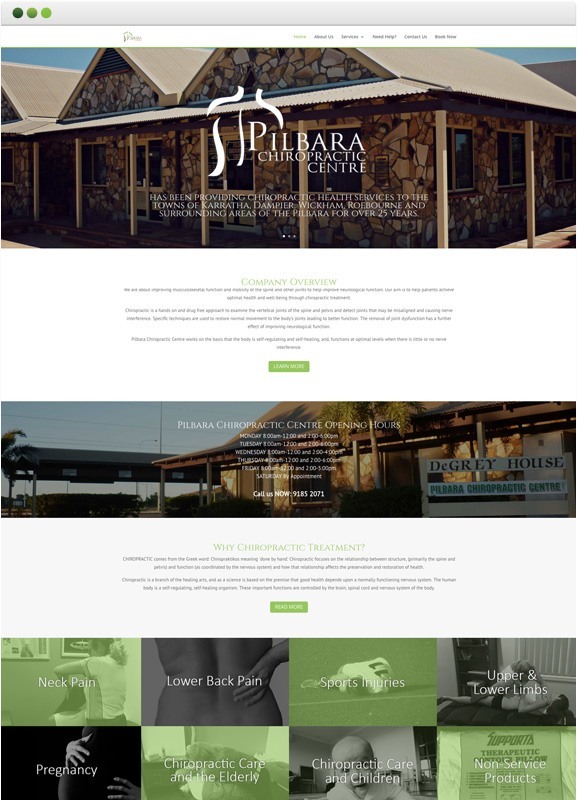 When our client said that they want to reach more people who need her help and services, we jumped at the opportunity as it was the perfect time to introduce Pilbara Chiropractic Centre to the online world. What they needed was an inspirational and informative website focused on wellness through chiropractic treatment. Pilbara Chiropractic also needed online promotion to elevate her brand and promotion so her customers became aware of her online booking system. Providing 14 years of Quality Products and Services in the Pilbara is an exceptional accolade that a business can have as it builds trust and credibility. Munda Steel also builds long term relationships with their clients. 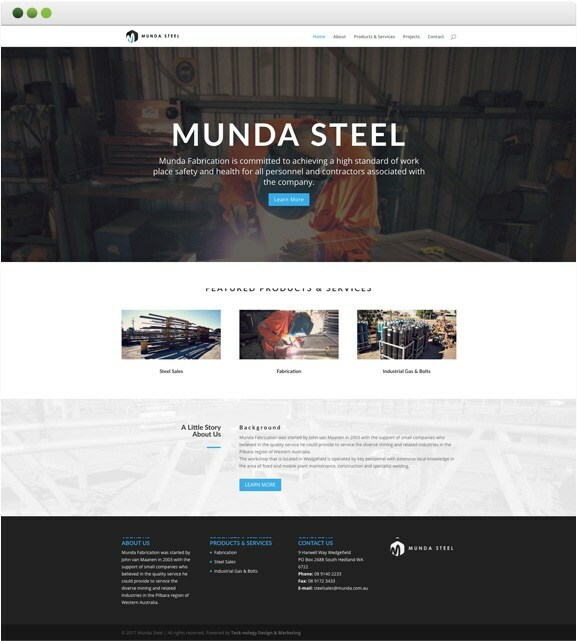 What Munda Steel required was a client-centric website that will not only build their brand and reach, but also expand their network in the surrounding districts. They wanted their products and services to be the highlight of their website and the relationship they build as their core. 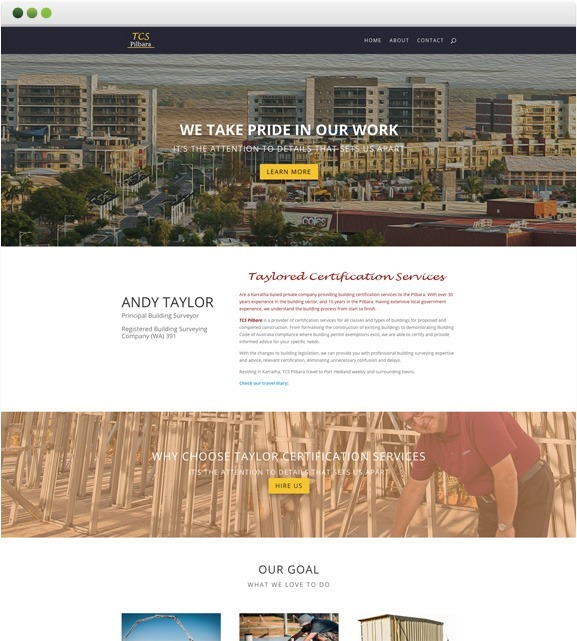 A well-known local business in the Pilbara, TCS Pilbara is your ideal partner for building certification services with providing expert knowledge and advice. Taylor Certification Services came to us with a new business that needed Brand-building and location reach. Being a niche service, SEO was a big focus point. Our client also required ongoing maintenance, site security, optimisation and content marketing. All services we were happy to do and we are proud to say that his client portfolio now speaks for itself. 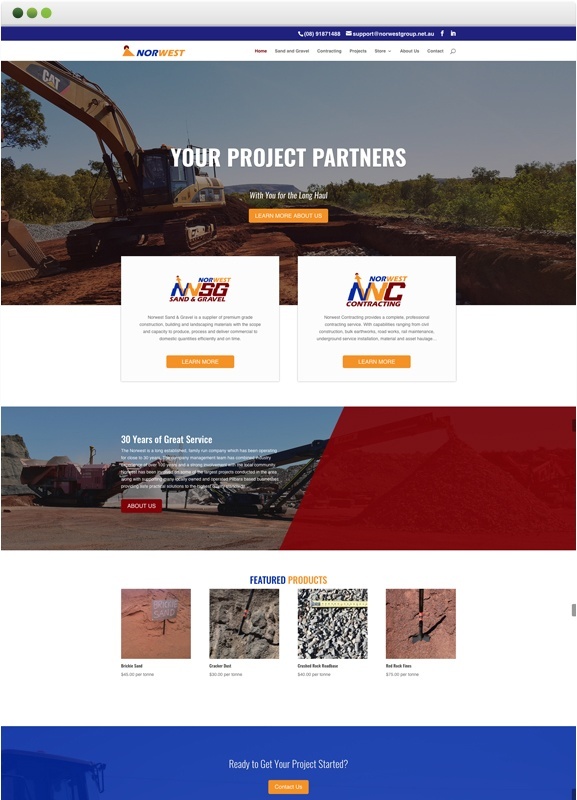 "During the past four years, the service provided by Teck-nology Design & Marketing, particularly in maintaining our website and advising on content to maximise search engine optimisation to enable those seeking building certification services from a company based in the Pilbara to be located online quickly, has proved a valuable asset in obtaining first contact with clients, which has resulted in tangible results, increasing our client portfolio. The ongoing service provided by Esther and her staff at Teck-nology to achieve this result for TCS Pilbara has proven to be a key part of the success enjoyed at start up, and now with the ongoing support and maintenance given in all aspects of ensuring a continued online presence continues to provide a competitive edge in today's market. In response to this firsthand experience, I have no hesitation in recommending any business to Teck-nology Design & Marketing for website design and ongoing maintenance, as they have a proven record with results that bring tangible benefits to any business." -- Andy Taylor, TCS Pilbara Pty Ltd.
Tell us about your project and how﻿﻿ ﻿﻿we can help.